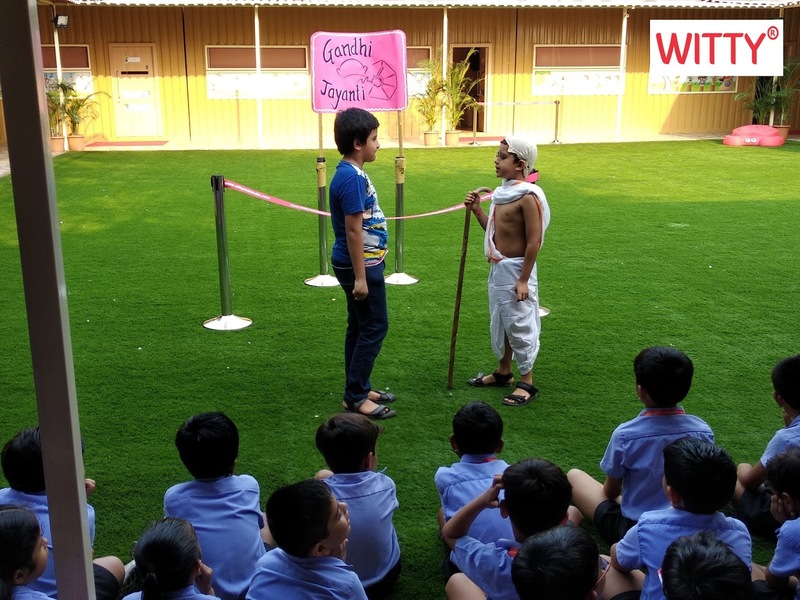 To commemorate the birth anniversary of Mahatma Gandhi and Lal Bahadur Shastri, a special assembly was conducted on 1st October, 2018. 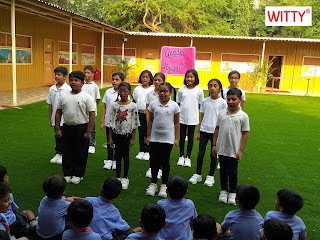 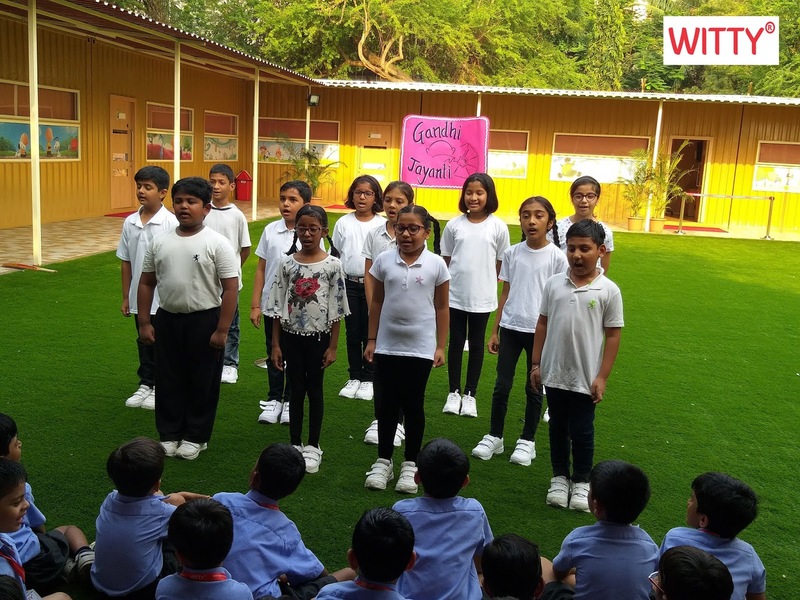 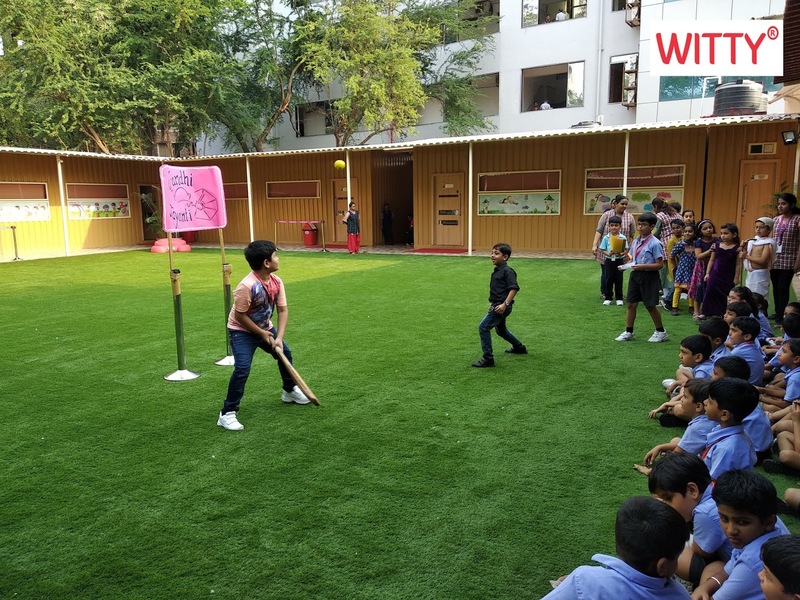 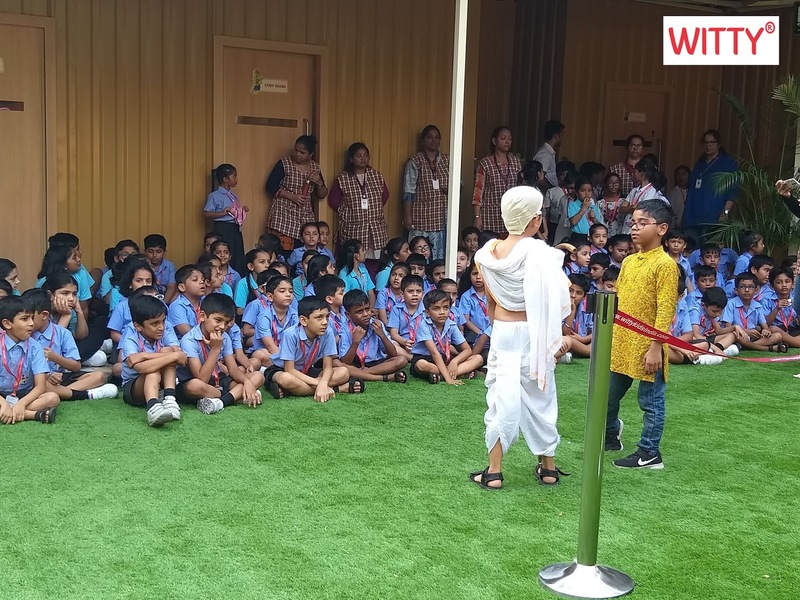 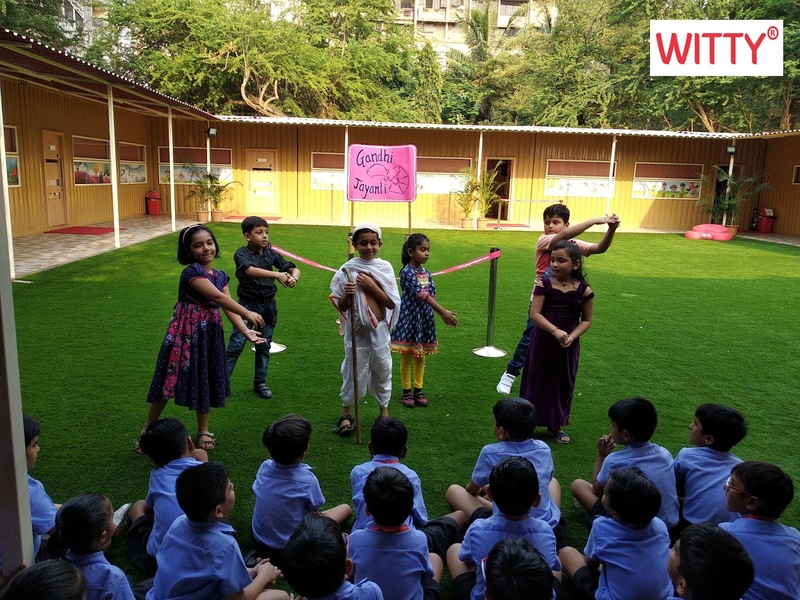 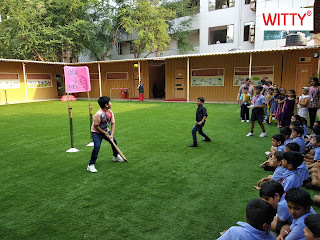 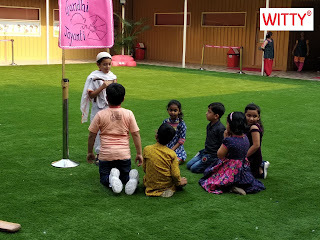 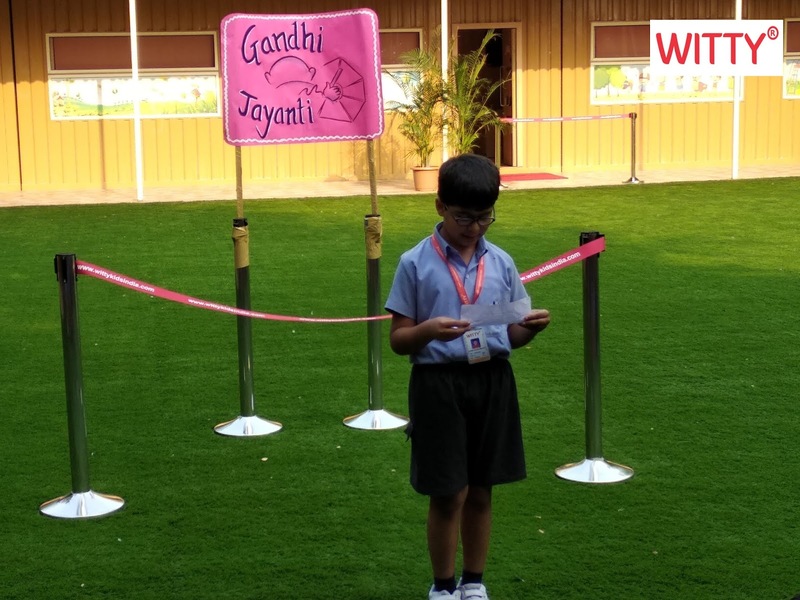 At Witty Kids we believe that it is at a young age that values need to be inculcated in children and celebrating such events help to do so better. 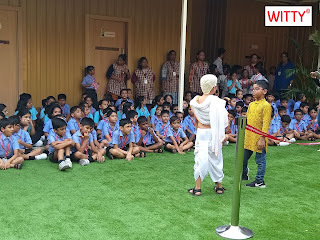 Gandhi Jayanti celebration aimed to encourage students to think about Gandhiji’s vision of humanity, brotherhood and secularism. 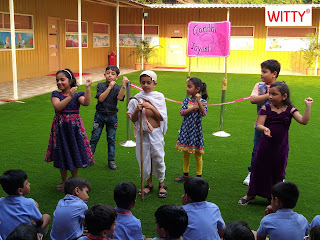 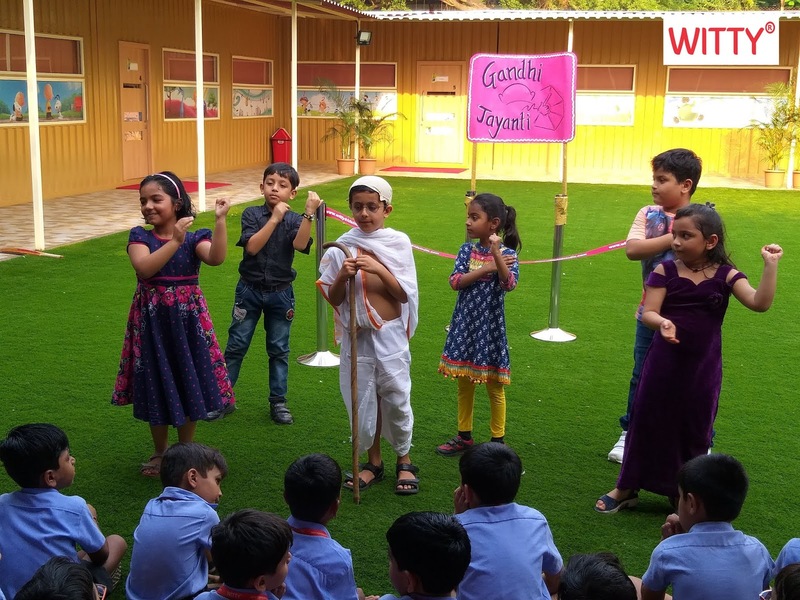 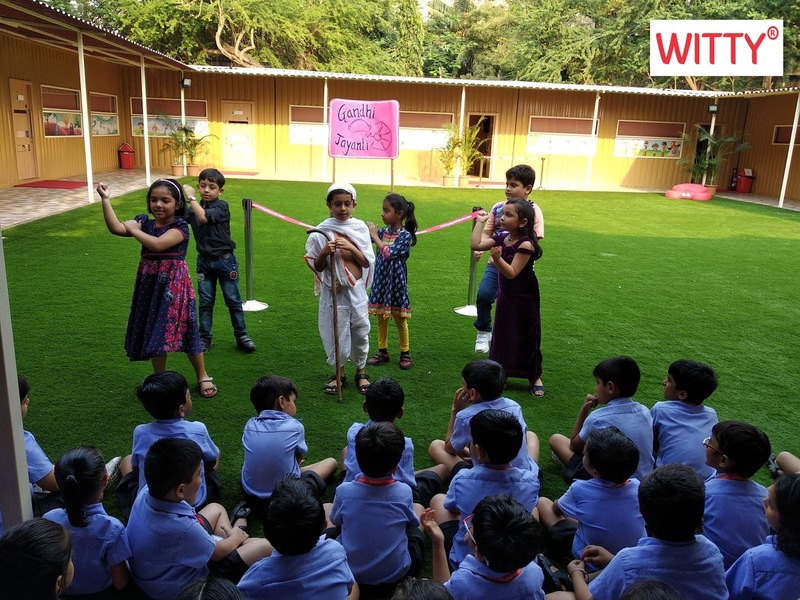 Through a small yet exceptionally amazing skit, the students presented simple but effective ways of following the principles of ahimsa, honesty and cleanliness. 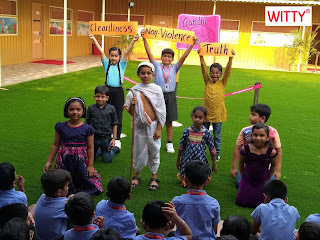 The students learnt that all it needs is an effort to invoke these feelings from within and choose the right path in life. 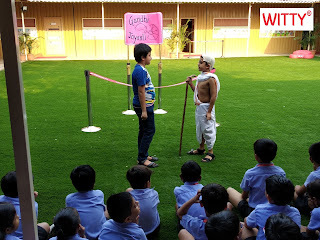 The enactment left a very positive impact on the students.